I will do this post in English to somewhat increase it potential audience. I write it mainly though because like with many things, the next time I need to do it, I will probably have forgotten how I did it this time. I bought a replacement set of Aqualung Slingshot Straps and Buckles. They use springs and are expected to be more durable than the original ones. However they also look much cooler than the original ones, so I decided to make them my main straps and use the original ones as spares. 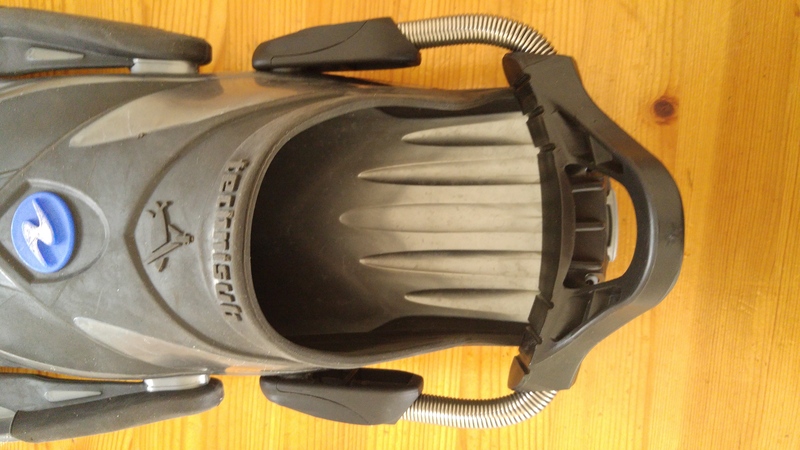 This comes in handy because the whole family uses Aqualung fins and the all can use the same straps. I will do this post in English because I’ve seen this being asked online a couple of times and chances are more people who are not Dutch will read this than vice versa. During my last vacation one of the Power Bands of my Aqualung Slingshot snapped. Thanks to Alberto who, during our previous diving vacation, had advised my to buy some spare ones, I had brought two spare power bands with me. But I had never replaced them before. I turned out to be really easy. I documented the steps below. 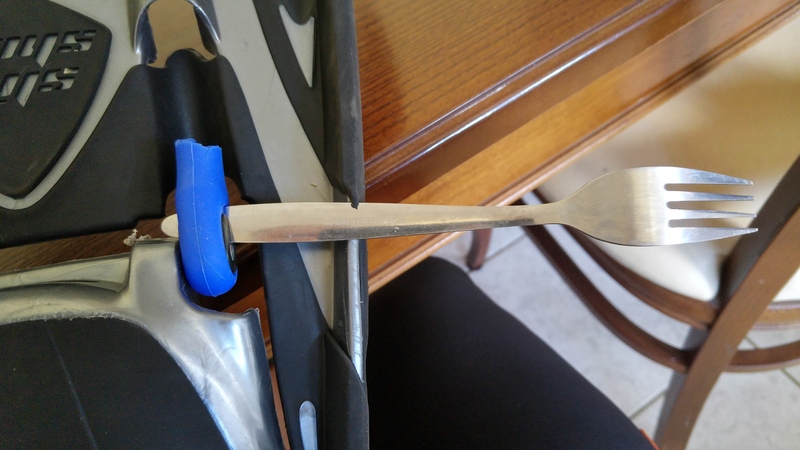 1 fork; just a plane metal one from the kitchen.